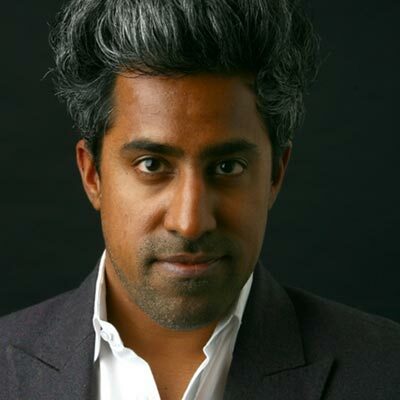 Anand Giridharadas is a journalist and writer. He is the author, most recently, of “The True American: Murder and Mercy in Texas,” about a Muslim immigrant’s campaign to spare from Death Row the white supremacist who tried to kill him. In 2011 he published “India Calling: An Intimate Portrait of a Nation’s Remaking,” about returning to the India his parents left. He is an on-air political analyst for NBC News and MSNBC, and a visiting scholar at the Arthur L. Carter Journalism Institute at New York University. A former columnist for The New York Times, he first wrote for the newspaper’s Washington bureau at the age of 17. He later became a Mumbai-based correspondent for The Times and, after returning to the United States, the author of the “Currents,” “Admit One,” and “Letter from America” columns. His datelines have included Italy, India, China, Dubai, Norway, Japan, Haiti, Brazil, Colombia, Nigeria, Uruguay, and the United States. He has written for The Times’s foreign, arts, business, and travel pages, and its Book Review, Sunday Review, and magazine–and for The Atlantic, The New Yorker, and elsewhere. Born in Cleveland, Ohio, he was raised there, in Paris, France, and in Maryland, and educated at the University of Michigan, Oxford, and Harvard. He has lectured around the world, and has received honors from the Society of Publishers in Asia, the South Asian Journalists Association, the Poynter Fellowship in Journalism at Yale, and the New York Public Library’s Helen Bernstein Award for Excellence in Journalism. He is a Henry Crown fellow of the Aspen Institute. He lives in Brooklyn, New York, with his wife, Priya Parker, and their son, Orion.